June had come and gone without having produced my One Game A Month, and I was into the last week of July.. I needed to do something drastic. So I decided to have an impromptu one day gamejam a couple of days before the deadline. Work feverishly all day long and see what pops out the other end! Make games. Not 1GAM logos. A couple others from the 1GAM-Dublin google group joined in on the day and we got to work. Our theme for the month by the way was 'KAWAII!!!!'. Aww cute. Wait.. get off that window ledge! 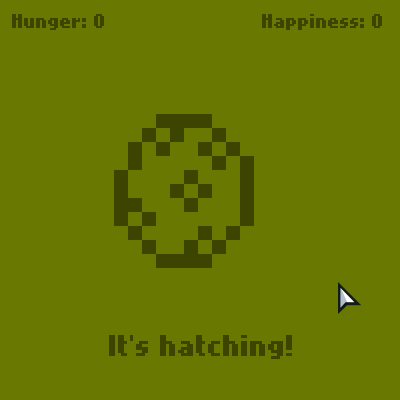 After about 6 hours of tinkering I had a basic bit of gameplay going where your egg hatched into a little amorphous blob of a baby (art is very faithful to the original watch toys here!! ), who then wobbled left and right pooping occasionally. I also had a simple message delivery system which I could use to send you helpful messages ('Please look after your pet'), or eventually start hinting that your pet really isn't that happy.. and that it might be your fault. 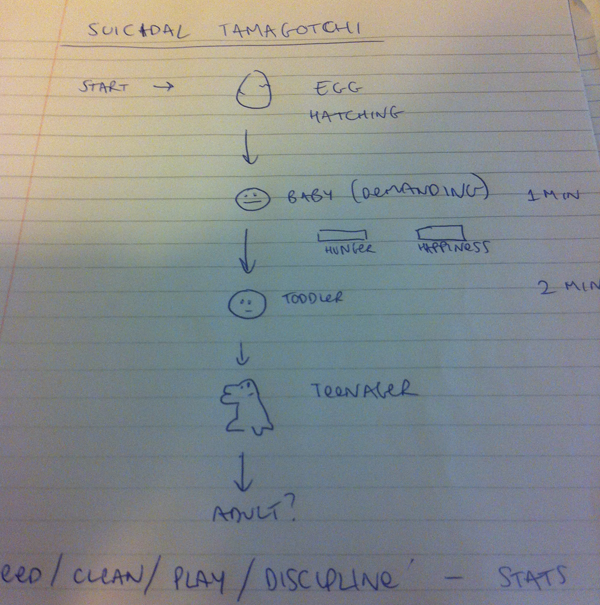 And of course it wouldn't be a tamagotchi-style game if things couldn't go pearshaped pretty quickly. 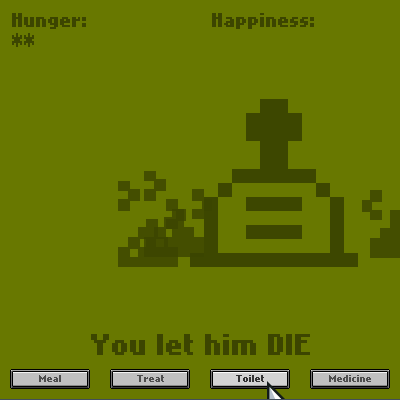 This was about all I managed at the end of my 'one day gamejam', and I was pretty happy with my progress, but it was far from something I could really call a game. So I spent about another day split across a few evenings adding a few more bits and generally polishing up the experience. 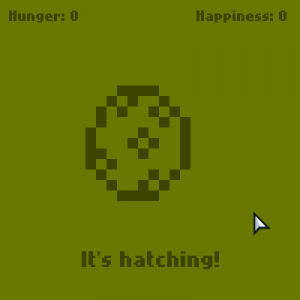 One very important thing that worked well was getting you to name your pet right after it hatched. 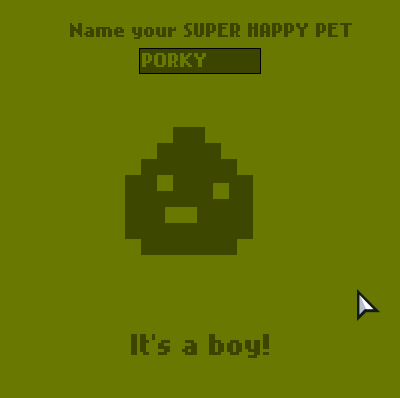 Porky? No wonder he's depressed! Once you name him you are much more emotionally vested in his success and will hopefully feel more at fault when eventually and unavoidably you let him die. YOU MONSTER. You can try SUPER HAPPY PET in your browser right now. Let me know what you think! 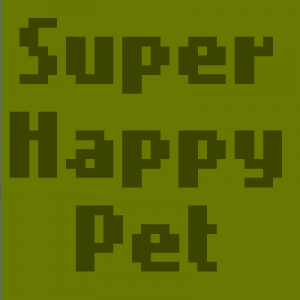 The full source for SUPER HAPPY PET is available right here, so feel free to have a look and use it in your own projects. Thanks for having a look!